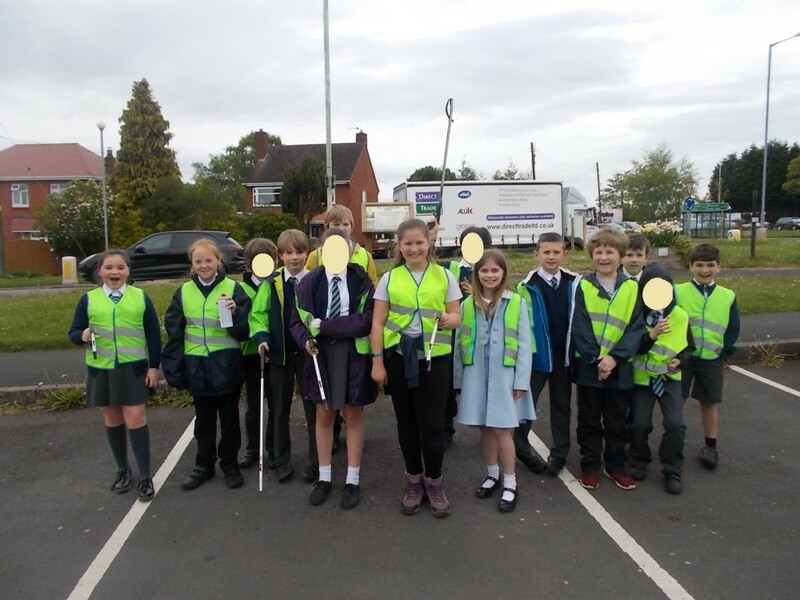 As part of the national campaign, children from Class 3 enjoyed a litter pick in Loggerheads which was organised by the Parish Council. They were all up for the challenge and “picked” high and low to collect bags of rubbish. Members of the Children’s Church Club had the opportunity to visit Cheswardine Hall Retirement Home this week to make Easter Bonnets. Everybody had a wonderful time and it was a fabulous opportunity for the children to talk with the residents – who enjoyed sharing stories about their past and big birthday plans for a gentleman who is about to turn 100 years old! Mal has been our local Post Woman for the past 14 years. She has supported the school in many fund raising events and has watched us grow from a roll of only 20 children to our current 64. She always has a smile and has been willing to help the school by regularly going above and beyond the call of duty – including even taking a school assembly once! 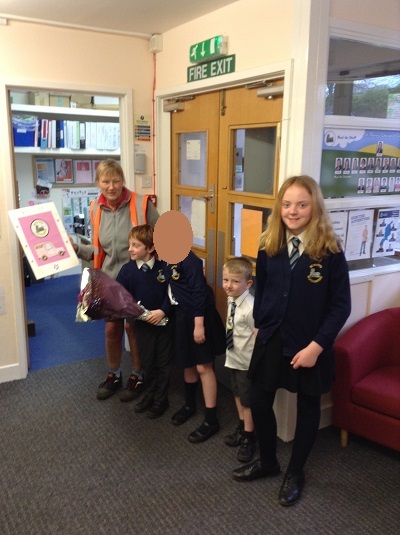 Some of the children showed their gratitude today by giving Mal a card and a bouquet to wish her well during her retirement. We wish you a long and happy retirement. Do you know there are currently an estimated 59.5 million people displaced around the world. Sanctus St Mark’s is a support group for refugees and people who are seeking asylum in the UK. They welcome women, men and children, of all faiths and none without prejudice. We collected a large amount of produce which has been displayed in the church before being taken by a representative. Barbara and Brian told us about Jiggers. They are little bugs that bite adult’s and children’s feet in Kenya. Greenfields Africa buys medicine that kills the bugs and they buy shoes for the children so the bugs don’t bite them again. We sold Christmas items with chocolate in them for £1 each – and raised more than £90.00. That will have healed and helped 18 people. Our collection was gratefully received by the Food Bank representative: Mrs Jane Newton. In addition to these charities, children also collected Christingle candle money boxes for Save the Children, which will be officially handed over during this week’s Sunday service. Year 5 and 6 enjoyed litter picking in Loggerheads with the parish council. We had quite a few compliments from members of the public on our hard work and polite children. Several bags of rubbish were collected and the children enjoyed helping their local community. A job well done!